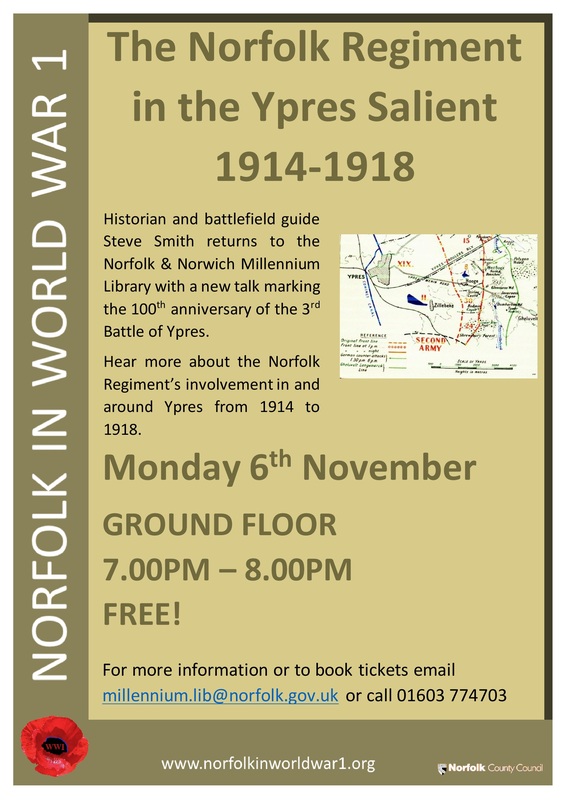 Join us at the Millennium Library on 6th November to hear about the Norfolk Regiment in the Ypres salients during World War One. Author and battle field guide Steve Smith will be taking us through the lows, and deeper lows, experienced by the Norfolk Regiment in this area during the whole war – including the 3rd Battle of Ypres/Passchendaele. Tickets to this talk are free and can be booked by visiting our Eventbrite page here , or by calling 01603 774703. This entry was posted in Events and tagged Norfolk Regiment, Passchedale, talk, Ypres. Bookmark the permalink.